We held our EV Ride & Drive Event at our Cooperative headquarters, in the parking lot area where we have a DC Fast Charger and a Level 2 Charger. This is also located right next to our 80 kW community solar garden. We had our local television station, many people from the community along with about 10 EV owners with their vehicles. We had 3 Teslas, 3 Chevy Bolts, 2 Chevy Volts, a Nissan Leaf and a Toyota Highlander Hybrid. We provided some cookies and refreshments, along with information about EVs for interested persons. There were a lot of great conversations and a lot of excitement as a result of some of the test drives. We will definitely consider hosting this event again next year! Chevy Volt owner Ron Erickson talks with a couple interested in learning about his experience with his EV. Chevy Bolt and Tesla Model X parked at DC Fast Charger to recharge during the event. Join us for an Electric Vehicle (EV) ride and drive event! Are you interested in electric vehicles? Are you curious about the features, performance, and handling of an electric vehicle? 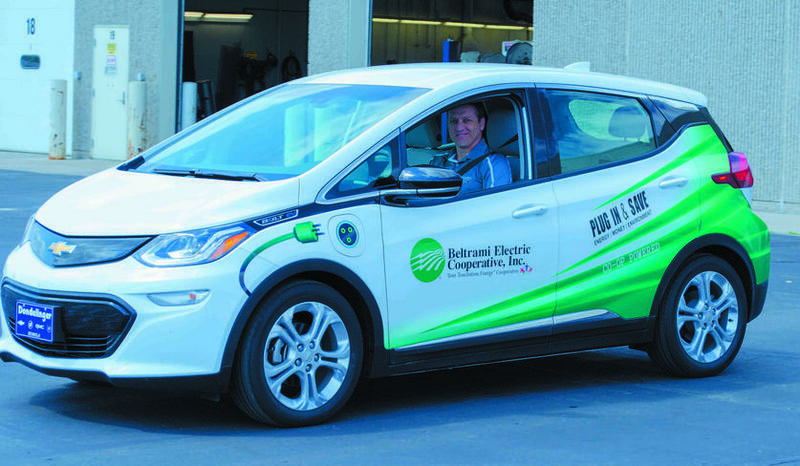 Then we invite you to attend Beltrami Electric's EV ride and drive event! Come out and test drive our Chevy Bolt, enjoy refreshments and cookies and learn more about the features and benefits of owning an electric vehicle. 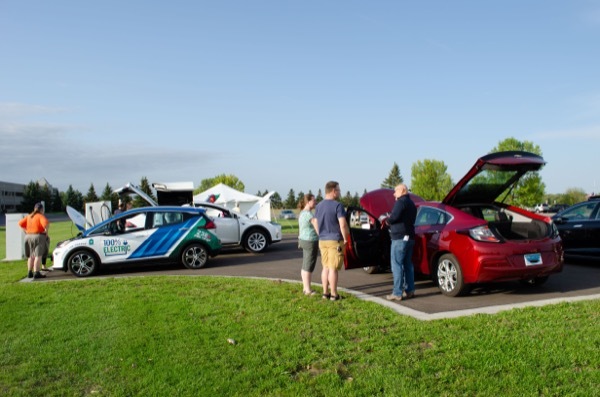 Learn about the local EV charging stations, including Beltrami Electric's DC Fast Charger! 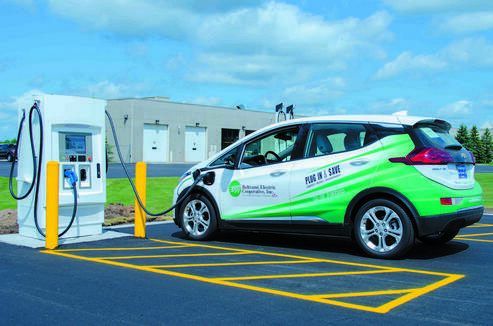 Learn more about installation requirements for charging stations, available rebates, and our off-peak charging program. We welcome all EV owners to come, show off their EV, and talk to people about what it's like to own an EV. Registered attendees report 177,300 electric miles driven.